Good afternoon! I hope everyone had a great weekend and that you are looking forward to Easter. We have this Friday off and also the Monday and Tuesday of next week. St. Xavier has a parent portal for all current parents. The Class of 2023 parents will receive an email this week with pertinent log in information. Please be on the lookout for this email. School calendar: Click here to view a draft of the school calendar for the 2019-2020 school year. 2019–20 Athletic Pre-Participation Examination (PPE): Make sure your student-athlete is in top performance shape for the 2019-20 school year. St. Xavier will host physicals on Wednesday, May 8 from 6-8 p.m. in the Ellis Gymnasium. Cost is $15 per student-athlete. 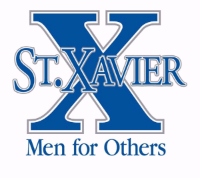 Click here for more information or contact Mike Gordon, AT, at (513) 200-2859 or mgordon@stxavier.org or Ken Rushford, AT, at (513) 520-5754 or krushford@stxavier.org. Freshman Family Conferences are in full swing! Just a quick note for families arriving for a 3:15 p.m. conference, please be aware that school dismisses at 3:05 p.m. and it can be difficult to get into the parking lot. As a friendly reminder, your son is required to attend the conference. Cross Country Meeting for Incoming Freshmen: The cross country team will hold a meeting for parents of incoming freshmen interested in joining the cross country program on Wednesday, April 17 at 6:30 in Room 1558. Information about the team and the 2019 season will be discussed. Please help us get the word out to any incoming freshmen families that you think would be interested. Class of 2023 Parents and Sons Program: On Monday, May 13 and Tuesday, May 14, the Advancement Office will host our annual Parents and Sons Program (click here for details). Families are requested to attend one of the two days listed above. The program runs from 6:30 -7:30 p.m. Please arrive by 6:15 p.m. at the latest and enter through the front entrance of the school. Parents will meet in the Chapel of the Holy Companions and your sons will meet in the Ellis Gymnasium. A social will follow in the cafeteria until approximately 8:30 p.m. The Spirit Shop will also be open before and after the presentations. Please RSVP on-line at www.stxavier.org/2023parentsandsons by Monday, May 6. If you have any questions, please contact Cheryl Asper in the Advancement Office at 761-7815 x119. Please join us for the St. Xavier X-Travaganza Spring Golf Outing. It is an 18-Hole Co-ed Golf Scramble at Four Bridges Country Club in Liberty Township. Please click here for more information. As always, if we can do anything to assist you navigate this transition, please feel free to contact the Office of Enrollment Management at 513-618-3258. To assist young men in their formation as leaders and Men for Others through rigorous college preparation in the Jesuit tradition.